It’s almost convertible season, so Porsche took the opportunity to reveal its fastest Boxster yet at the New York International Auto Show. Introducing the Boxster Spyder. As a true Spyder, the roadster’s top is still manually raised and lowered by hand. 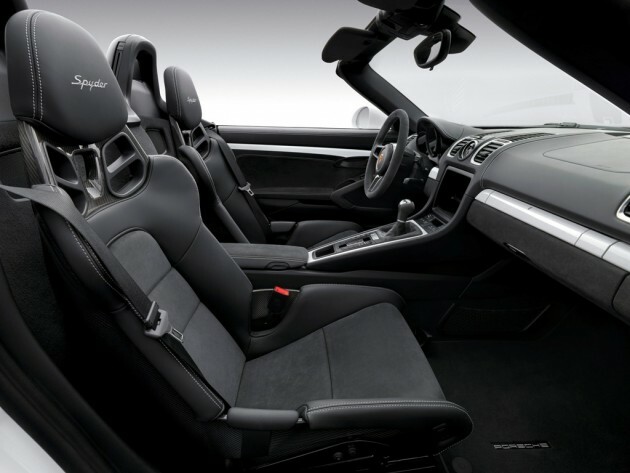 The Boxster Spyder will be powered by a 3.8-liter flat six-cylinder generating 375 horsepower through the manual transmission. The manual is the only available transmission, and for good reason. People who buy Spyders are people who enjoy the driving experience. This isn’t a commuter car. That’s why it also comes with standard sports seats and a steering wheel that’s 10mm smaller in diameter, offering more precise steering response. Oh, and it doesn’t come with air conditioning or a radio unless you ask for it, but at least they won’t charge you for them. This car is all about cutting down on extra weight. 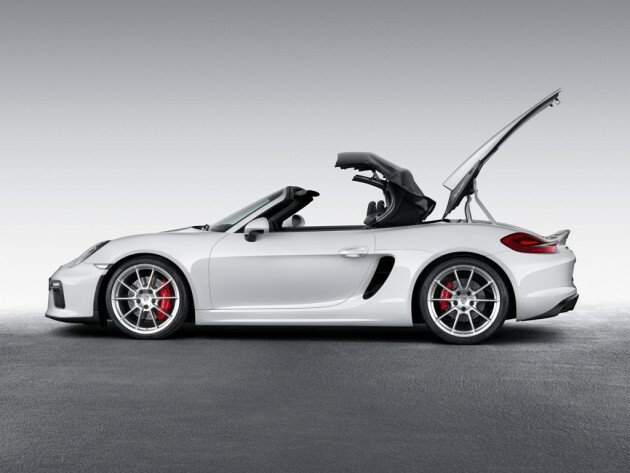 The Boxster Spyder also rides 20mm lower and brakes form the 911 Carrera S. With the simple rag top, it’s also the lightest Boxster, providing a 0-to-60 time of only 4.3 seconds and a top speed of 180 mph. 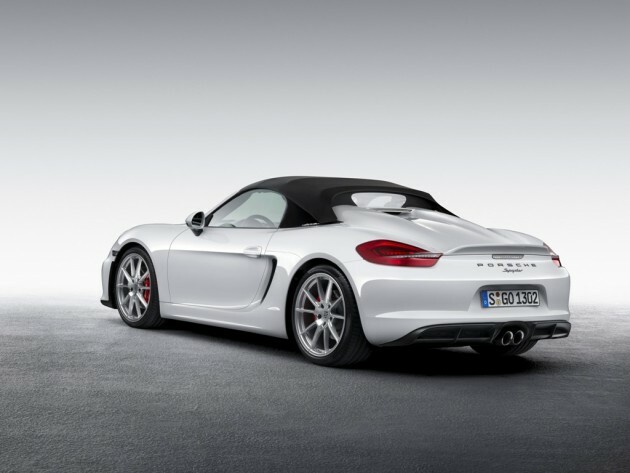 Porsche dealerships are taking orders for the Boxster Spyder now and delivery will begin in October. 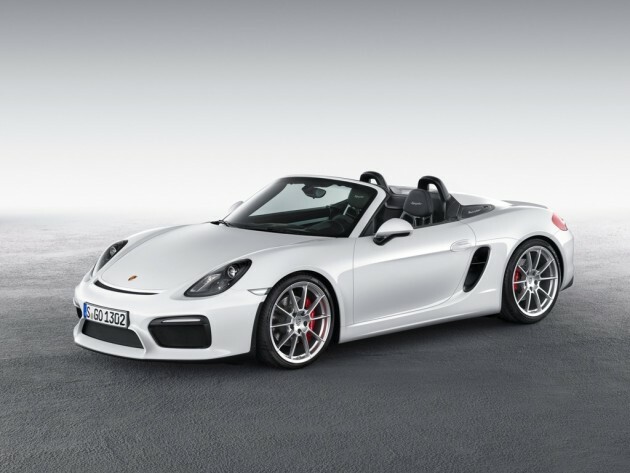 The Boxster Spyder will start at $82,100 MSRP.